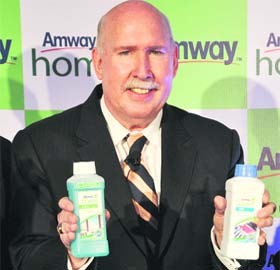 'Amway' already judged unlawful in India. Meanwhile, US-based 'MLM Income Opportunity' racketeers are now doing everything they can to trivialise all these events and to have their own criminal activities effectively placed above the law in India. The 'Amway' Ministry of Truth has already swung into (reality-inverting) action, claiming that 'Amway' is the victim and that the Indian authorities simply don't understand how 'Amway' and 'MLM Direct Selling' functions. (Readers should note that the WSJ has previously participated in covering up the 'Amway' racket http://mlmtheamericandreammadenightmare.blogspot.fr/2012/03/chairman-and-ceo-of-amway-have.html). 'Amway's' so-called 'MLM income opportunity' has already been closely examined, and judged unlawful, by the High Court of Andhra Pradesh in 2007. At that time, the court even began to examine how 'Amway' had got into India in the first place. 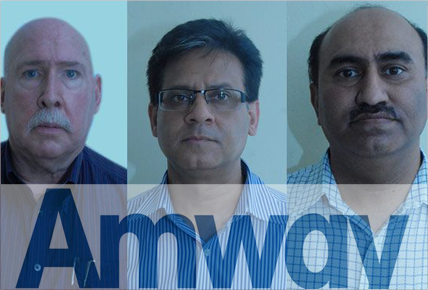 Seven years later, despite the boss of 'Amway India Enterprises,' and two other corporate officers, being arrested for, and charged with, fraud in the Indian State of Kerala in 2013, the 'MLM Income Opportunity' virus still continues to infect India, whilst India legislators continue to be approached by the representatives of US-based racketeers who, obviously, do not wish to have their real activities rigorously investigated by independent Indian law enforcement agents. Although he is only 37 years old, Sachin Pilot (b. 1977) was the American-educated, Indian Minister for Corporate Affairs at the time of Willima Pinckney's first arrest in 2013. 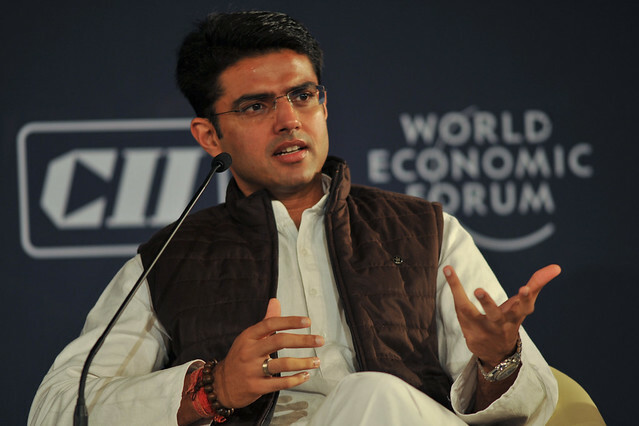 Sachin Pilot has previously worked for the British Broadcasting Corporation in India, as a well as for the American-based multi-national, General Motors. Sachin Pilot, whose late father, Rajesh, briefly led the the Indian National Congress party, is a member of the same party (now led by the former Indian Prime Minister, Manmohan Singh) as well as a member of Indian Parliament and a serving, regular officer in the Indian Territorial Army. 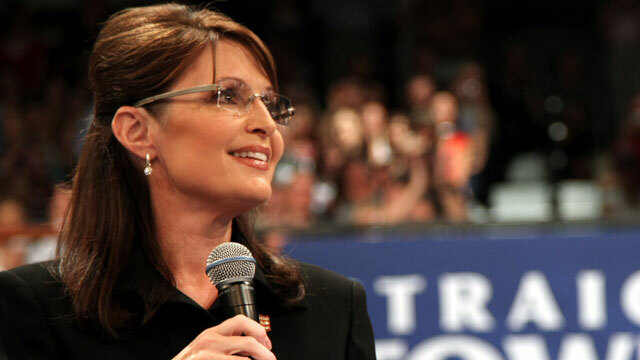 Unfortunately, young Sachin Pilot (like his American equivalent, Sarah Palin) seemed to have been promoted to his lofty governmental post more for his clean-cut, good-looks, than for his intellectual capacities; for, if he sincerely believes that 'Amway India Enterprises' is a 'law abiding and reputable company' (as was reported last year), then he was probably far too stupid even to be making the tea at the Indian Corporate Affairs Ministry, let alone running it. When translated into plain English, Sachin Pilot has apparently said that he had absolutely no intention of allowing the Indian police or the courts to do their job and protect the people of the republic of India from the biggest 'MLM income opportunity' racketeers! On the contrary this young fellow is reported as having steadfastly pretended moral and intellectual authority whilst, at the same time, foolishly broadcasting his urgent intention to place all the biggest 'MLM income opportunity' racketeers above the law of the land, before their Indian agents can be convicted of fraud and sent to prison. Apart from the fact that Sachin Pilot has already been approached by countless deluded 'MLM' adherents, begging him to save their 'businesses, there is another explanation for his morally, and intellectually, bankrupt commentary. Namely, the billionaire racketeers whom Sachin Pilot apparently claimed he selflessly wanted to protect in the wider-economic interests of the people of the Indian republic, have been following the same subversive tactics which have enabled them to dodge criminal prosecution in the USA, and elsewhere, for decades. What quantifiable evidence have you seen to prove that any member of the so-called 'Direct Selling Association' has actually been regularly retailing goods, and/or services (based on value and demand) to the Indian public, rather than operating a dissimulated closed-closed market swindle, or pyramid scam, in which unlawful investment payments (based on the false expectation of future reward) have been laundered as retail sales simply by offering a never-ending chain of temporarily-deluded victims of the swindle, effectively-unsaleable wampum? What possible lawful reason can you supply to explain why you now, urgently don't want the above serious matters to be fully-investigated by independent Indian law enforcement agents and put before independent Indian judges by independent Indian prosecutors? In an ideal world, it wouldn't be me putting these common-sense questions to Sachin Pilot. Self-evidently, if they have been reported accurately (and I have no reason to doubt that they have), Sachin Pilot's thoughtless pronouncements are further evidence that, due to the length of time it has survived and amount of capital it has already unlawfully-generated, the absurd, but nonetheless pernicious, lie entitled 'MLM income opportunity,' represents an ongoing threat to democracy and the rule of law, all around the globe. 'Fortune Hi-Tech Marketing' - FTC Press Release.